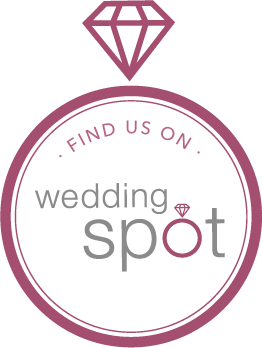 We understand that your wedding is not just a one day event so we are here to help you plan everything that surrounds your big day. One of the best parts about having a wedding with us is the convenience of hosting your pre and post celebrations here, too. We can help with an engagement or bachelor & bachelorette party, bridal shower, rehearsal dinner, farewell brunch, and even a spa day! Another exciting detail is that all of these events can be planned directly through your Wedding Specialist! Celebrate with friends and family at the Valley Forge Casino Resort. Planning a formal dinner or swanky cocktail reception? We can help! You can book a private party in one of our restaurants or reserve a table for an intimate group. We can incorporate you and your partner’s favorite cuisines into a personalized menu. Furthermore, we can also help create a “Mr. & Mrs. Specialty Cocktail” unique to your celebration! Anything from a Sunday Brunch to an evening wine tasting, we want to assist you in planning an unforgettable affair. Bridal showers are for gifts and games, so leave the cooking and cleaning to us and enjoy your day! Treat yourself to some rest and relation before your big day! There is nothing better than a day at the spa with your best friends to renew your senses. Our expert staff will be pleased to help you choose the perfect services so that you get the most out of your experience. Learn more about the Services and Appointment Details. Gather your closest friends for a night you’ll never forget at Valley Forge Casino Resort. With 5 restaurants and 4 nightlife venues, no other location in Suburban Philadelphia has more to choose from for your special night! Be the center of attention at Center Bar on the casino floor, dance the night away in The Vault with Dueling Pianos, or relax outside in a cabana at Valley Beach. The possibilities are endless! The best part is when you make hotel reservations, you can take the elevator home to your guestroom for the night – it couldn’t be easier!